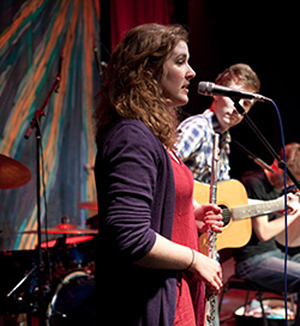 Ruth holds a First Class honours degree in music from the University of York and a PGCE in secondary music from the University of Cambridge. performer. She is vocalist, flautist and whistle-player for the band Nish As Rish who have performed internationally, winning the Trophée Loic Raison for best new group at the Festival Interceltique de Lorient 2011 and performing in Folkermesse Festival 2012, Italy. She is also in demand as a soloist, having opened the Nuit Interceltique stadium extravaganzas at Festival Interceltique de Lorient 2012.